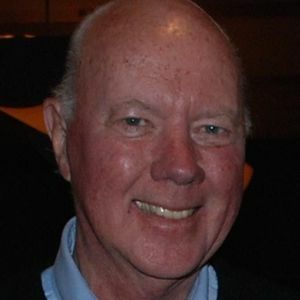 Dean A. Pierson, 73, of Rockford left this world serenely May 13, 2014 in his home. Born September 4, 1940, in Prophetstown, IL; son of Sivard and Myrtle (Lindquist) Pierson. Graduated from Prophetstown High School in 1958. After high school Dean served in the Army where he met hiswife-to-be, Marilyn. They married August 24, 1968 in Waukesha, WI, and later moved to Rockford. He began his career in banking as a loan officer at First Federal Savings & Loan, where he spent 32 years. Gentle and loving husband, father, brother, friend; Dean had a genial smile, a contagious laugh, and a dry sense of humor. He enjoyed watching the Cubs and the Bears, attending the SkiBroncs waterski shows and local concerts. He was a John Deere tractor and car enthusiast; he was active with the Windy City BMW Club and Fuelfed. Dean enjoyed putzing around in his retirement, scoring a good deal at a garage sale, and takinga hiatus from the Midwest winters. Dean is survived by daughter, Michelle (Scott Mize) of Beaverton, OR; son, Erik of Palmer, AK; son, Christopher (Jennifer) Pierson of Phoenix, AZ; brothers Raymond, Clarence and Richard; and numerous nieces and nephews. He was predeceased by wife, parents, and sister, Betty Cherry. Funeral mass will be at 10:00 am on Friday, May 23, 2014 at St. Bernadette Catholic Church. Visitation will be from 5:00 pm until 7:00 pm on Thursday, May 22, at Fitzgerald Funeral Home, Riverside Chapel, 3910 North Rockton Ave and will continue from 9:00 am until 9:45 am on Friday at the church. In lieu of flowers, donations may be made to FFA, NPR, or Fight Colorectal Cancer. Special thanks to Cancer Treatment Centers of America and Northern Illinois Hospice. To express online condolences, please visit: www.fitzgeraldfh.com.